Ms.Krishna is our teacher of the month for September. 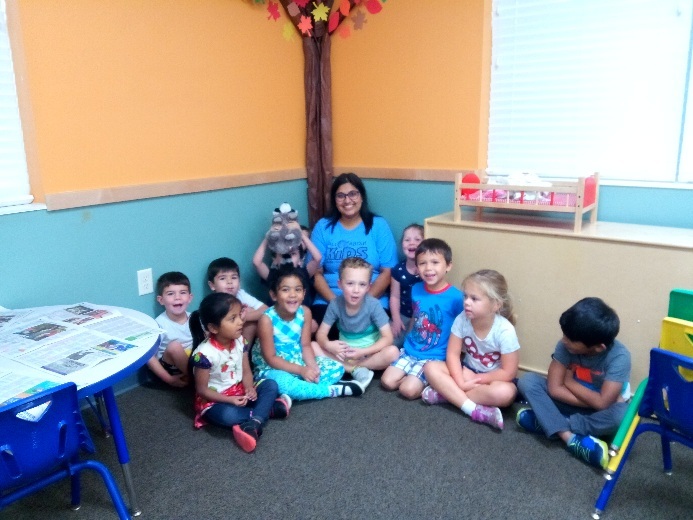 Ms. Krishna is our PreK teacher. She loves teaching and looks forward everyday to coming to work to help educate her kids and get them ready for kindergarten. The children love her and always look forward to seeing her in the mornings when she gets in. Ms. Krishna has 2 children who also attend our school. Her son is in Kindergarten and her daughter is in our young toddler class.